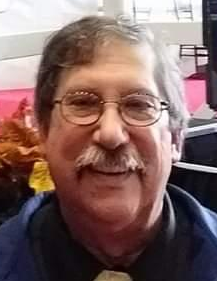 John James Hirsch, 68, of Colchester, passed away in Hartford on Sunday, Feb. 3, 2019 following a short battle with cancer. He was surrounded by his loving family. Born Jan. 26, 1951 in Nyack, New York, he was the son of the late John and Charlotte (née Bernhardt) Hirsch. From a young age, he showed a proficiency in both music and engineering. He skillfully played violin for many years, before learning to play the tuba so that he could join his high school marching band. Under the loving guidance of his father, a machinist and WWII veteran, he learned how to fix just about anything, and created his own inventions, including a go-kart made with a lawnmower engine. After graduating from Clarkstown High School in New City, NY in 1969, he attended Manhattan College in New York City, majoring in civil engineering. While at school he worked as an electrician to support himself, and joined a music fraternity. After graduating from college in 1973, he went on to a long and distinguished career as a nuclear engineer, working for Electric Boat, Northeast Utilities and Pratt & Whitney over his 46 years in the field. He loved his job, and was known for evading questions about specific details, because most of his work was classified. His love of music remained a constant throughout his life. He performed in musical theater in New London County and won the Eugene O’Neill Theatre Center award for Best Actor in a Musical for his performance in “How to Succeed in Business Without Really Trying” in 1976. The award was presented to him by esteemed actor James Earl Jones. He sang in the Colchester Federated Church choir for almost 40 years, performed with the Colchester Community Orchestra, and most recently found joy singing with the Electric Boat a capella group, the SubTones, performing for senators, governors and military leaders. John was devoted to his community, most notably volunteering as a fireman with the Gardner Lake Volunteer Fire Company for over 25 years. During that time he served as president and sat on the Board of Directors of the firehouse. He was also active in his local Jaycees chapter and spent many happy years volunteering as a coach with Colchester Youth Soccer. Faith was important to John and he was a member of the Colchester Federated Church for 39 years. During that time he served on many committees, and was recently honored with the distinction Deacon Emeritus of his congregation. But most of all, John loved spending time with his family and friends. He was the first to offer help when someone needed it, and never complained about the trouble. He loved holidays (particularly Christmas), traveling with his beloved wife, especially in their motorhome, spending time with his three children, and doting on his granddaughter. He is survived by his wife of 41 years, Shelly (née Hamel) Hirsch, his daughter, Lisa Hirsch Lozano and her husband Gualberto of Los Angeles, CA; daughter, Megan Hirsch and her partner Jeffery Strong of East Hampton; son, John Eric Hirsch of Los Angeles, CA; granddaughter Diana Lozano of Los Angeles, CA; sister, Judith Hirsch and her husband, Angel Alicea of Hastings-on-Hudson, NY; parents-in-law, Joseph and Mary Hamel of Niantic; brother-in-law, Joseph Hamel and his wife, Carol of Syracuse, NY; and several nieces and nephews. He is predeceased by his parents and his brother-in-law, Eric Hamel. The family will receive guests 4-7 PM Thursday (Feb. 7th) at the Aurora-McCarthy Funeral Home, 167 Old Hartford Road, Colchester. A Celebration of his Life will be observed 10 AM Friday (Feb. 8th) directly at the Colchester Federated Church (60 Main Street in Colchester). Burial will follow in Linwood Cemetery. In lieu of flowers, the family asks for donations to the Colchester Federated Church or the Gardner Lake Volunteer Fire Company. Gardner Lake Vol. Fire Co.